Anyone who navigates to your business page will be able to see this icon, indicating that your business is “very responsive to messages.” It’s too early to tell if this response rate will play a role in algorithm visibility, but it will be interesting to see whether businesses will receive more direct messages based on a high response rating from Facebook. Expiring posts: Business pages can set a date and time when a Facebook post should automatically unpublish from the page. When a post becomes unpublished, it will no longer be visible but is not deleted. Page managers will still be able to access and view the post analytics after a post has been unpublished. This feature might be especially useful for special offers with an expiration date or for companies who would no longer like a certain product or campaign to be found. Page admins can activate this feature through a page’s settings. Comment ranking: For marketers who meticulously reply to every comment on a Facebook post – listen up! It’s important to check your comment display settings for your Facebook page. Through Facebook page settings, you can select whether you want Facebook to display comments on a post listed by engagement or by the date they were posted. If you choose to display comments that have garnered the most engagement, comments with the highest number of likes and replies will appear first below each post. Also, with this option selected, verified pages and profiles that comment on your post will also be displayed above a more recent comment. Not selecting this option will display the most recent comments first by default. Suggested updates. 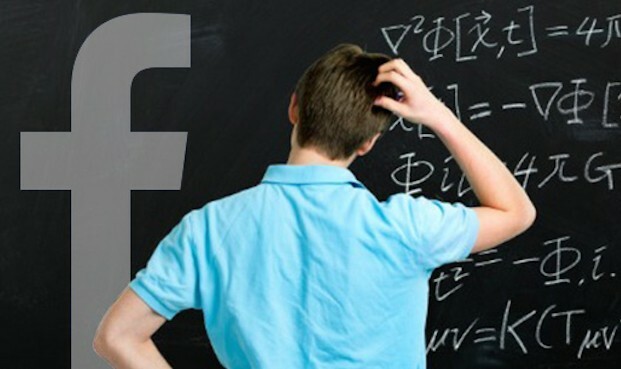 Not sure what to post on Facebook? Facebook’s got your back! The most recent feature that Facebook has begun testing is suggested topics. Suggested topics have begun appearing within the status update box of some users’ news feeds. While not officially announced by Facebook, this is a feature to keep an eye on. Time Spent on Stories. While we know Facebook favors content that garners the most engagement (likes, comments, shares, clicks), a new algorithm update will factor in the amount of time a user spends looking at a post. Engagement doesn’t always tell the full story – a user may want to experience content without publicly liking or commenting on it. Facebook has updated its news feed ranking to account for how much time a user spends viewing a story in the news feed. Why does this matter? As a marketer, you can feel good about posting rich content versus your more “fun” or “funny” posts that tend to garner the quickest likes and shares. After Facebook began punishing brands who post click-bait, this most recent change is another step to ensure that Facebook users are presented with content that is most relevant to their interests. Interested in learning more about Symmetri’s social offerings? Contact us or get in touch on social!